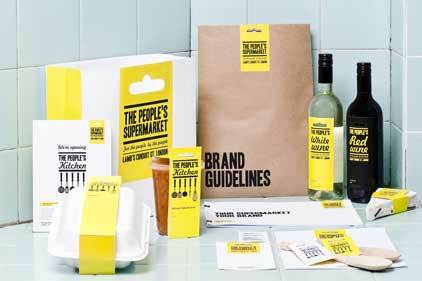 Not-for-profit social enterprise grocery store The People's Supermarket has called in PR support, as it seeks to challenge larger retailers. The supermarket has hired Xpert Communications for a UK brief covering PR, social media, creative and campaign marketing. Xpert’s first task is to communicate the ‘Brick By Brick’ campaign to build five stores in the next year, while supporting local traders and ‘off­ering an alternative to the larger supermarket retailers’. The People's Supermarket, aims to seek £2.5m in match funding for its 'Brick by Brick' campaign from the financial organisations that will be providing social investment funds developed by The Big Society Group (formerly referred to as the Big Society Bank). The Big Society Group is currently in the process of being set up and is not yet open for business. To date, The People's Supermarket, on Lamb's Conduit Street, London, has created 19 full time jobs for locally long-term unemployed, who are helped by 1,200 members, serving more than 6,000 customers a week. The initiative, which launched in 2010, was the subject of an award-winning Channel 4 documentary. People are asked to volunteer four hours every four weeks in return for discounts and shares in the business.